Toby Keith has always been an interesting figure to me. My first experience was with his early music. I loved the era of country music in the ’90s. It was a time when things were reverting, at least a little bit, to a more traditional sound. Toby was part of that, but he was also a little different. There was an edge to him. He didn’t like being told what to do, but in his early years he listened to his label. One thing that was interesting in the ’90s with Toby was that his label never seemed to really want him. They moved him around to different sub-labels and things like that. At each place he had success. Then he finished an album. The label turned it down. Toby had to buy the rights to the album, which he then took to another label and started a second boom phase in his career. Anyway, this post is about business and Toby has been very successful off stage as well as on. I thought we could look at some of the choices he’s made over the years that have led to his success. You never know how stories grow and change over time, but one story that Toby has told seemingly his entire career was about coming to Nashville. He had five or six songs on a cassette. Songs he had written and recorded. He went to every label in Nashville and they all turned him down. One told him he might be a singer someday, but that he would never be a songwriter. Well, that cassette had something like three number one singles and a couple more album cuts on it. Like many successful people, Toby heard a lot of “no’s”, but he never quit. He would hear it and move on to the next opportunity. He kept pushing. He kept improving. There are a lot of interesting things in this video, but one that really stands out was when Toby talked about the opportunities he has gotten and still gets today. Business opportunities that come his way. He says that a key to his success is that for every 100 opportunities he takes 1. Now, he’s at a point where he gets a lot of things coming his way, but the lesson there is that no matter where you are in life most opportunities won’t be worth pursuing. But you also have to look for opportunities. If you want that one good one you better be looking for 100 options. Toby has always seemed to know who he is as a person. He has his beliefs. He knows where he came from. He knows where he wants to go, but he always sticks to being who he is and doing things that fit with his core. I’m sure he’s had to do some things outside of that over the years, but for the most part he’s stuck with the core. It goes back to the 1/100 opportunities. Toby sticks with businesses that make sense for him. It started with music and touring. Then it expanded into restaurants. That’s not an easy business, but for Toby it made sense. He tours in music venues with food and drinks. His fans are comfortable there. They’re comfortable with him there. His fans like to drink liquor so Toby moved into the liquor business. He fans like entertainment so Toby has done a few movies over the years. He tries new things, but he tries new things that fit with who he is. This one is easier said that done, but it’s important to strive for it. An interesting thing about Toby’s restaurant business is that the restaurants aren’t in traditional country towns or cities. They’re not really in the South. He knew that there were some people that liked Southern-style cooking and country music in cities that didn’t traditionally serve that audience. So he went to those places. He found that he could be the only place in town serving and underserved audience. Efficiency is a big thing in business. Efficiency leads to better value for customers. Toby found efficiencies with his various businesses. He had a record label with new artists. Those artists needed places to play. Toby had the restaurants. Those restaurants needed entertainment. Those restaurants also needed drinks. Toby created his own liquor. Across all these things Toby could cut costs and find efficiencies. This can lead to lower costs all around for customers. Look for ways you can enter business opportunities and improve industry efficiency. If you have something unique that can cut costs a bit you can be extremely valuable to customers. Toby hasn’t succeeded at everything. He would probably be the first to tell you that. His record label has certainly been successful, but mostly with his own music. He’s struggled with breaking new artists on the label and now I think things are scaled back to just his own music. And even there I think he has scaled that back. But a key lesson in life is that you’re not always going to succeed. You have to be able to get past that. Just because you fail at one thing doesn’t mean you can’t succeed at another. Even one success can makeup for ten failures. Toby Keith, through all kinds of label issues and turnover, has been very consistent with releasing his music. He’s starting to cut back lately it seems, but for his entire career he was like an alarm clock. Every 12-18 months there would be a new album. Always a single ready for radio. It takes effort to write songs all the time or listen for songs to record. Toby sticks to his routine though and it works for him. People appreciate consistency. They like people they can rely on. Country fans could always rely on Toby to bring new music to them. You want to be reliable. Deliver on time. Deliver the same quality each time and look to improve. Toby is pretty good buddies it seems with Sammy Hagar. Sammy is known for his rock music. Solo and with Van Halen. But he’s almost become more known for his brand of tequila. Toby saw this success and was inspired. But going back to opportunities and voids… He didn’t want to do a tequila. Other people were doing whiskeys and vodkas. He wanted something different. So he got into mezcal. Definitely niche, but a niche he could fill and be on his own. But it began by looking at other successful people for inspiration. You don’t have to reinvent the wheel in life. You can look at what others have done and look for ways to do the same things with your own twists. Toby’s music career started with him and his band traveling around with cover songs, a van and a trailer. He wasn’t an overnight success. It seems like that each time you reach a new level, but business and life are about the long-term. If you’re going to get into something go into it for the long-term. You can do a lot in five years. You can’t really do so much in one year. Find a long-term goal. Work backwards on what you need to do each day to get there and start taking it one day at a time. 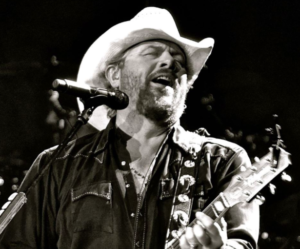 Toby Keith has been one of the most successful artists in country history. But beyond that he’s also been one of the most successful businesspeople in the music industry. He quietly goes about his business for the most part, but if we pay attention we can pull some great inspiration like the insight above.